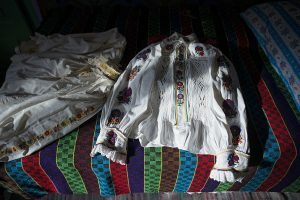 "They danced in a different way” is an examination of memory, nostalgia and cultural projections, seeking to provide insights into the lives of people that continue to practice ancestral rituals and wear traditional attire in Europe. 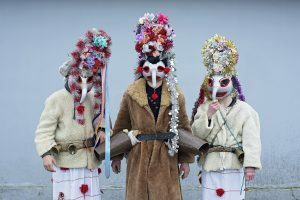 Romanian visual artist and photographer based in Glasgow, Simona recently graduated, acquiring a First Class Honours Degree in Photography, specialising in fine art and documentary photography. 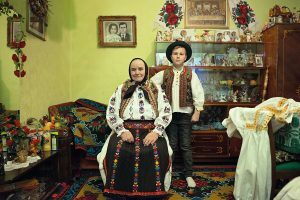 Simona’s work explores the relationship and impact between traditions and the modern era, investigating how our perceptions over the world are influenced by cultural heritage. 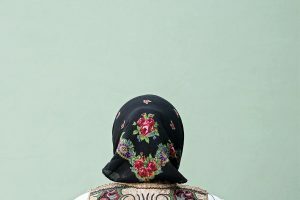 She seeks to reference the diverse layers of personal history and collective memory that shape our identity. 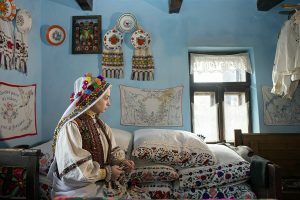 Having a growing passion for crafts and textiles, she is developing new techniques for combining photography with other materials and create unique pieces, while finding inspiration in themes such as belonging, faith, legacy, loss and regeneration. 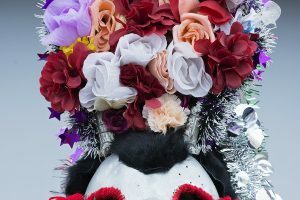 She has exhibited her work in several exhibitions in London, Glasgow and Edinburgh. 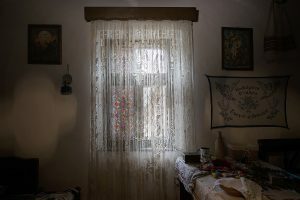 Her project “They danced in a different way” was shortlisted for the Jill Todd Potograpic Award, Simona Ciocarlan being selected as one of the awardees in 2018.